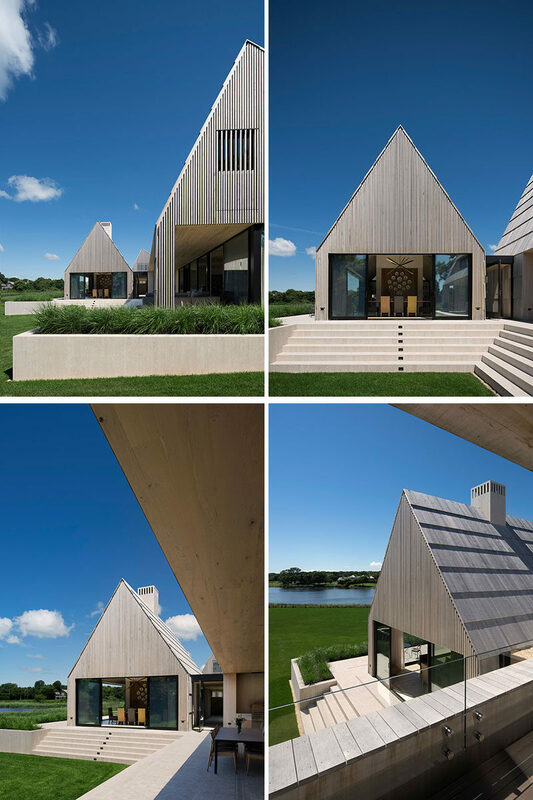 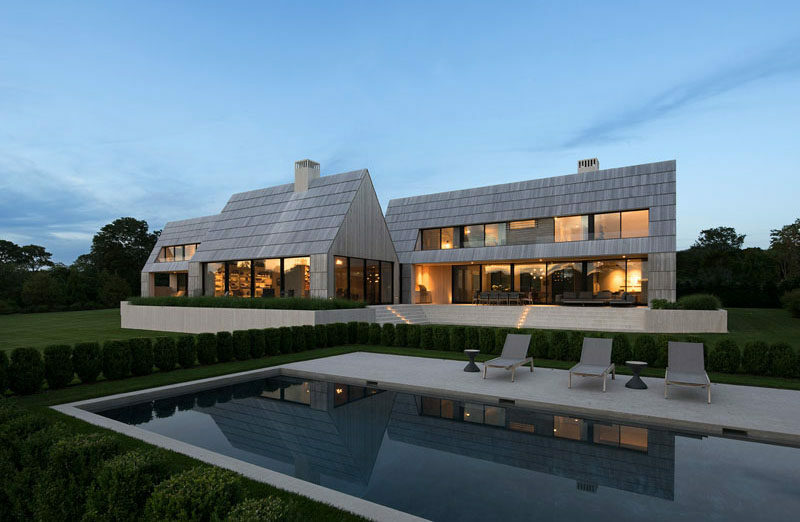 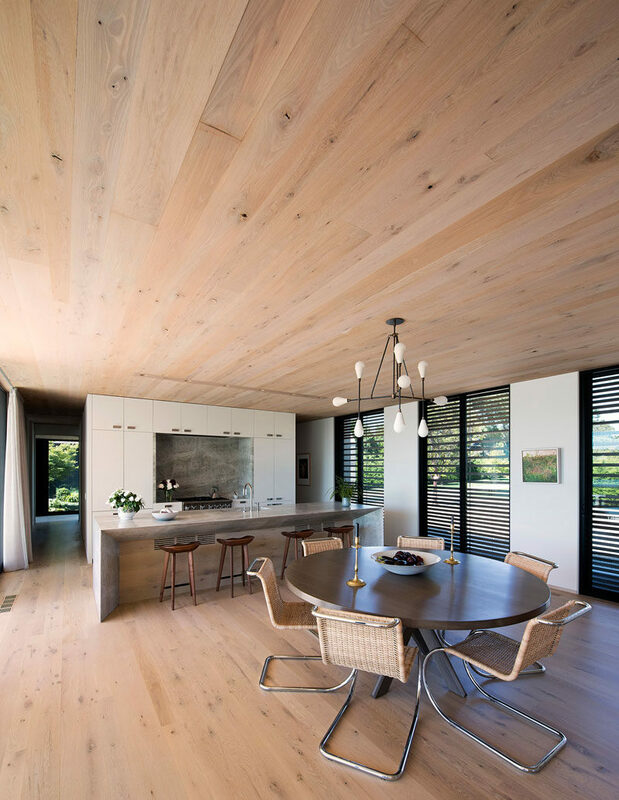 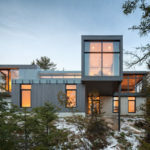 Bates Masi + Architects have recently completed a new home for a couple in East Hampton, New York, that would be comfortable for just the two of them the majority of the time, but also large enough to accommodate their children, grandchildren, and guests. 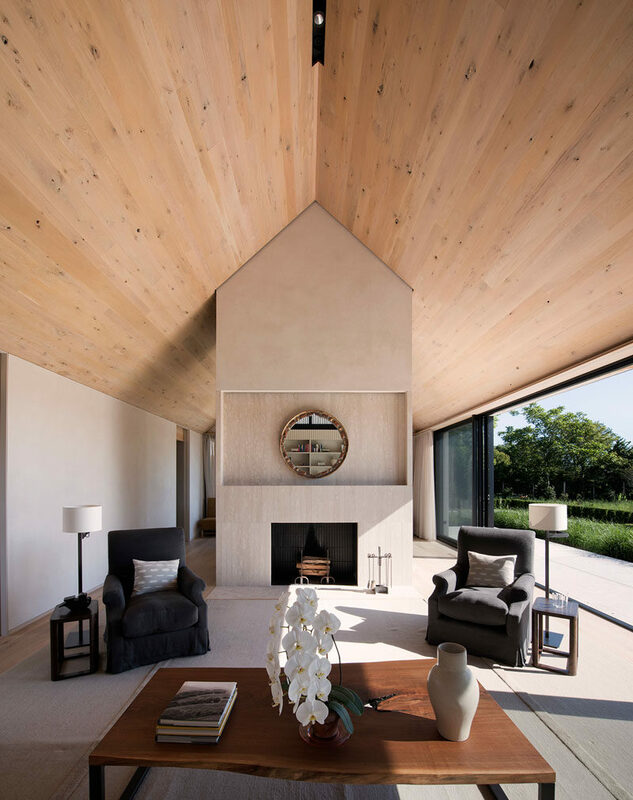 The house was designed to blend in with the pastoral setting and vernacular building traditions of the area, like predominantly shingle style homes and barns that are often built and added to over time. 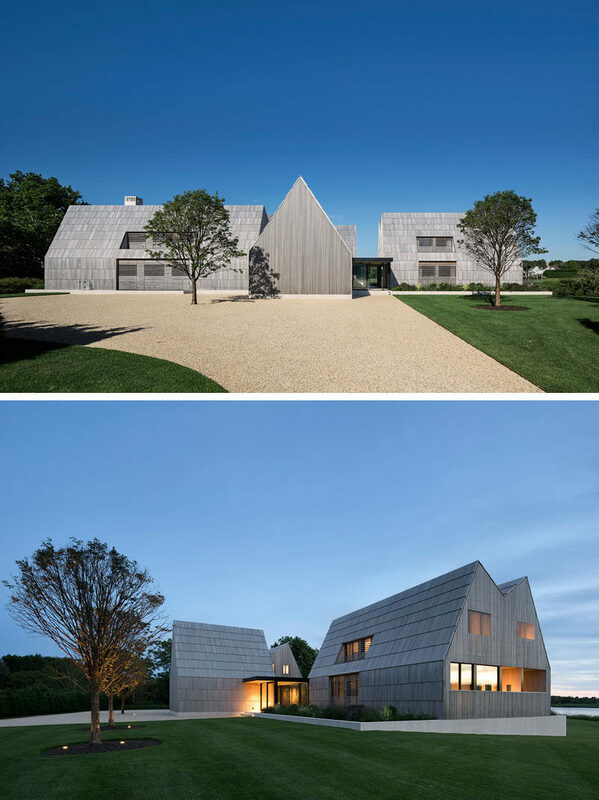 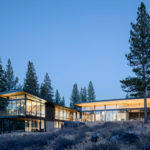 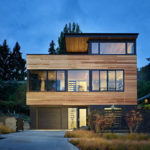 The cedar shingles on the house, common to local buildings, have been scaled up to the size of boards to cover the roof and sidewalls, while cedar screens provide privacy and filter light. 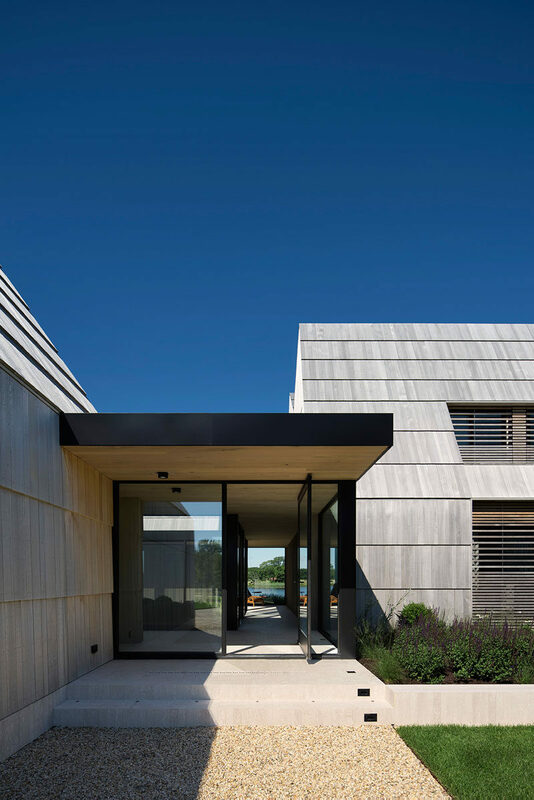 A marble plinth filled with sand elevates the house above the floodplain while also creating drywells to accept storm water runoff. 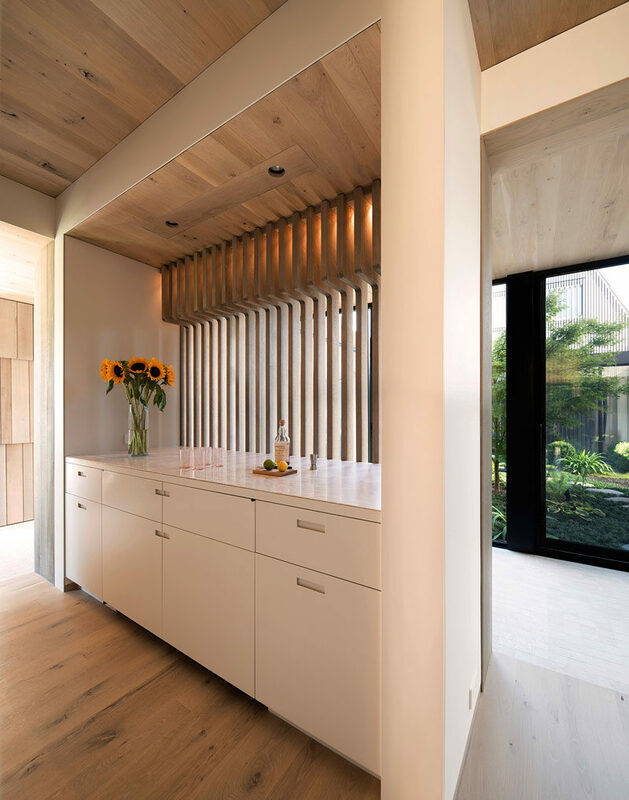 Here’s a look at some of the cabinetry in the home, that features built-in drawer pulls and a light countertop. 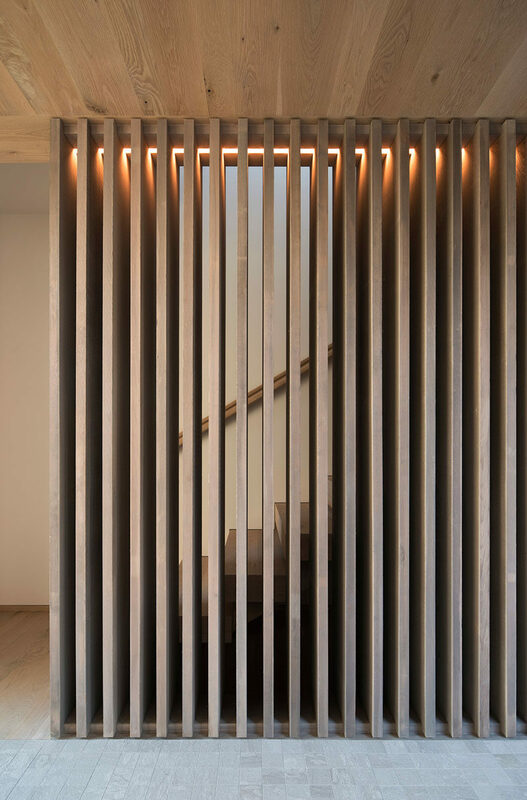 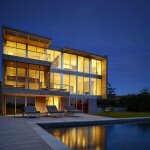 A wood slat partition with hidden lighting wraps around the stairs that lead to the upper floor of the home.